The V846-HW Hand-Wired Wah Wah Pedal has a classic tone that is is undeniable, the V846-HW was created to write new chapters in the future as its name implies, the V846 Hand Wired boasts hand-wired turret board construction. Every component, including the inductors, resistors, capacitors, and the potentiometer has been carefully selected for premium fidelity and tone. In fact, a tone-preserving true bypass has been added to the original design. Outside, the die-cast body features a sandblasted exterior with crepe finish. The V846-HW is a perfect combination of VOX's world-famous technology, with classical yet modern specifications, surpassing any previous Wah Wah pedal in history by delivering the purest sound. The inductor is the heart of every VOX Wah Wah pedal. The V846-HW uses a specially-voiced vintage-spec Halo type inductor. The carefully selected magnetic core material and winding ensures a perfect reproduction of the original V846's Wah sound, the sound sought after by guitarists around the world. The potentiometer is a VOX original that features a distinctive response, and is sealed for durability. Thanks to a remarkably smooth curve, the region at the very beginning of the pedal's travel ? a region difficult for conventional Wah Wah pedals ? is assured sensitive response with an unprecedentedly fine degree of control. Carbon composite resistors (made in Japan by KAMAYA ELECTRIC CO., LTD) are used for their extremely low noise and uncolored sound. As in the VOX Hand-Wired Series amps, high-spec polyester film capactitors are used. The high-quality footswitch made by Carling Technologies, was selected for both its reliability and its good feel underfoot. The Switchcraft®jacks are well-known and trusted for their sturdy bushings, simple construction, and high reliability. 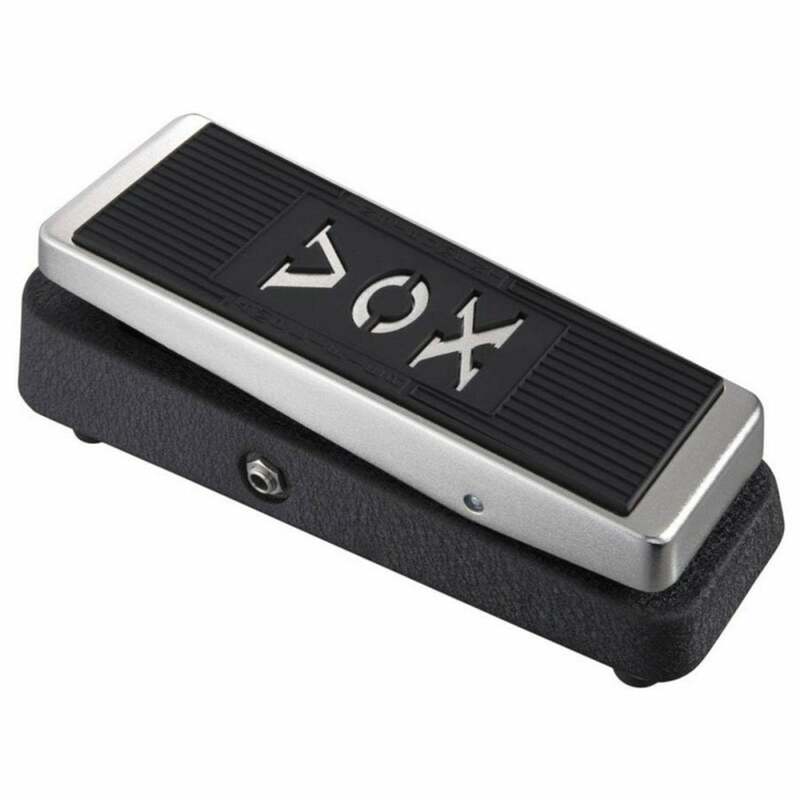 Together, these carefully selected components come together in the amazing V846-HW, the ideal embodiment of the Wah Wah pedal that only VOX can provide.